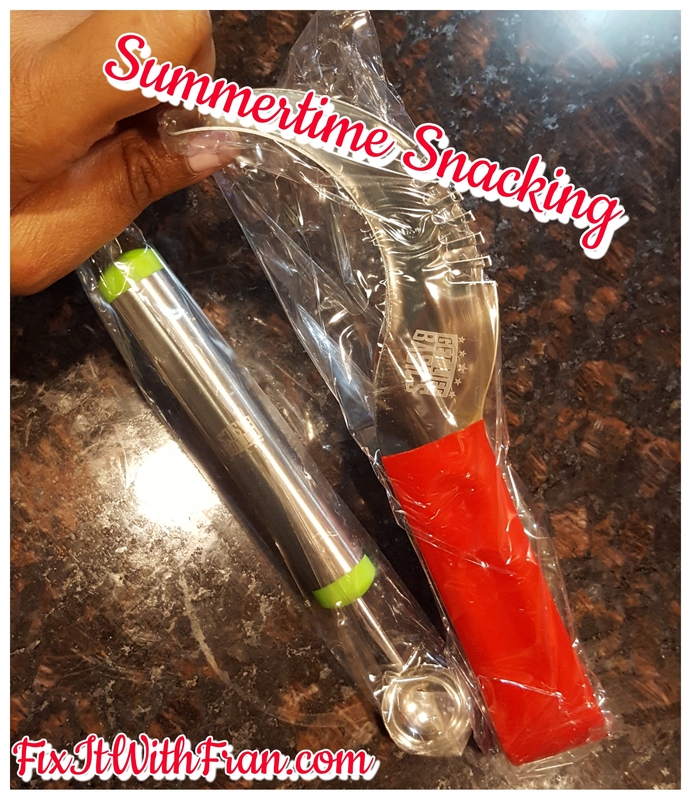 Summertime Snacking!, Fix-It With Fran: All Things Faith, Family, Food, Fun and more! So what does this crazy looking gadget have to do with summertime snacking? This gizmo is a watermelon slicer. My favorite thing about the summer is fruit– especially peaches, cherries and WATERMELON. I tried out this slicer tool a few weeks ago and I’m not 100% sure how I feel about it. I’ll be loading the full length video to YouTube soon. When that’s done, I’ll update this post with the link!